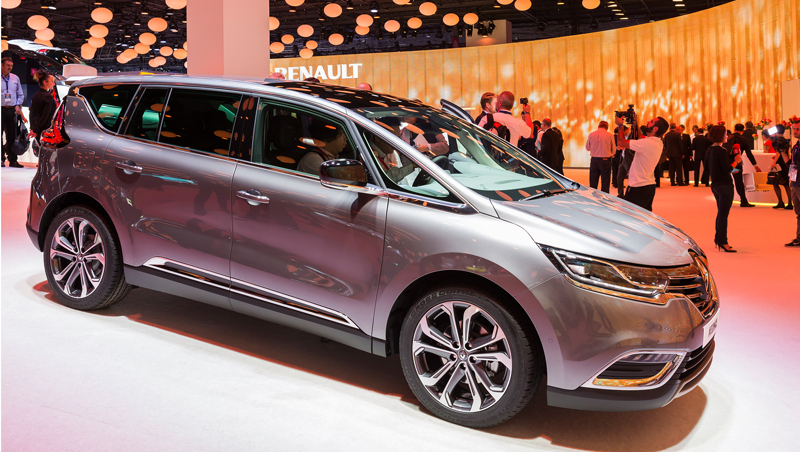 As you might imagine, pride of place on the Renault stand this year goes to New Espace. 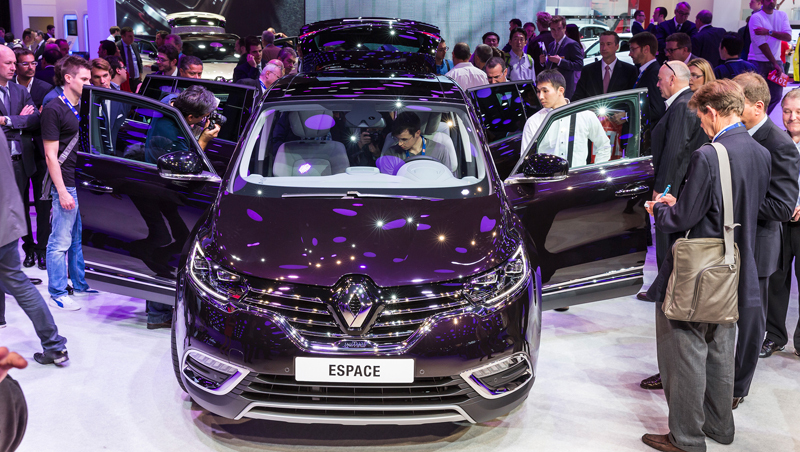 The crossover derived from the Paris Initiale concept-car was unveiled at the press conference this morning, and is going to be grabbing a great deal of attention at the motor show. 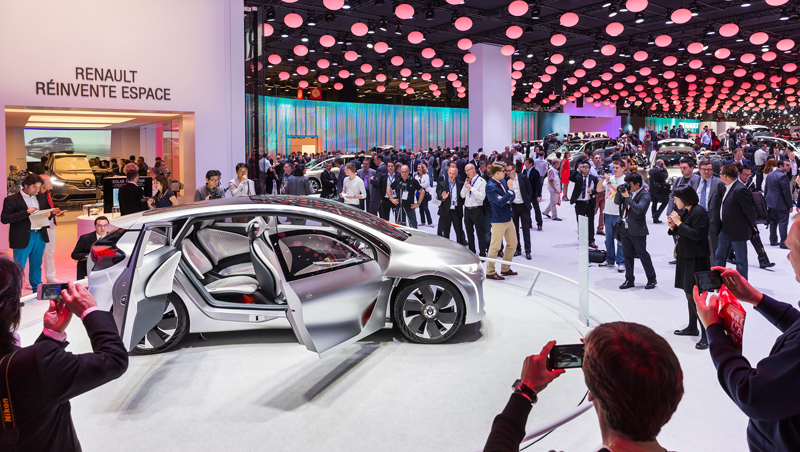 Visitors are going to be delighted at the chance to get right up close to this innovation-rich vehicle, in sleek black or grey, or even enjoy a highly realistic behind-the-wheel experience. 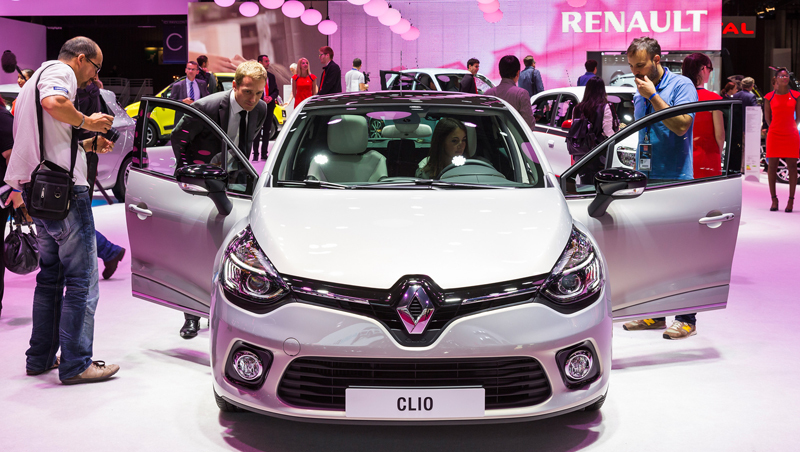 Just over the first hill there's a superb Clio waiting for us, sporting the Initiale Paris signature. This model, in frosted grey, with its 17” wheels, chrome tailpipe and C-form LED light signature, positively scintillates in a seriously successful bid to steal the show. 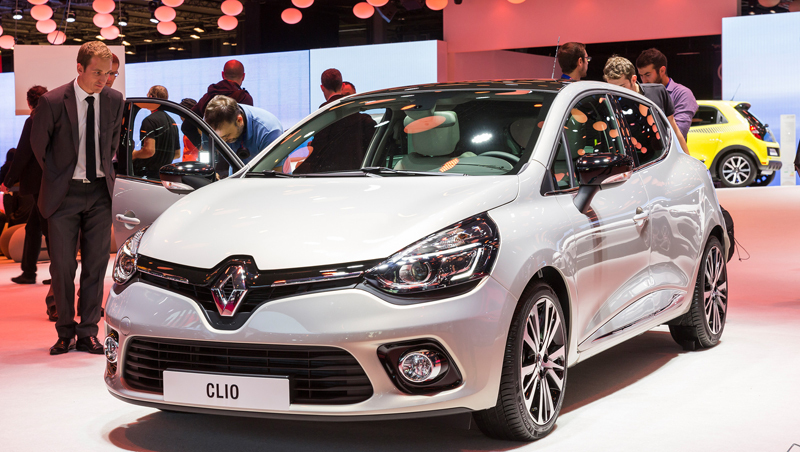 In its Initiale Paris version, Clio also gets superior interior comfort features and advanced equipment such as enveloping heated seats, Xenon headlamps, leather upholstery, sports-style steering wheel, Zamac gear knob and aluminium pedal unit. 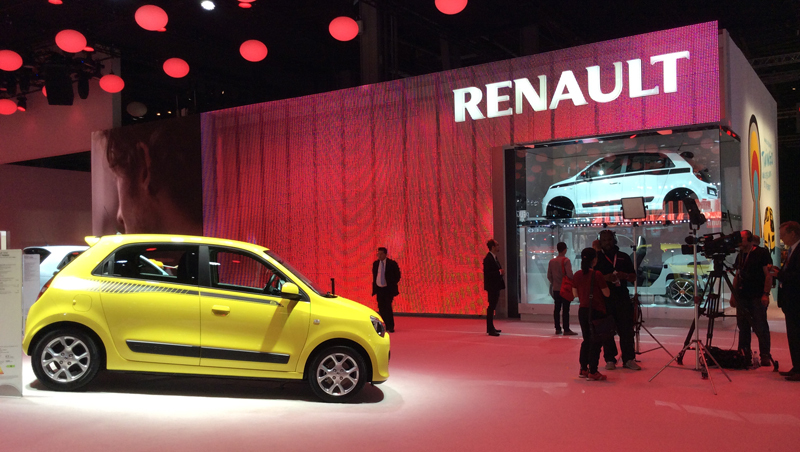 On the stand's second hill what do we find but that now-familiar little city car, New Twingo. 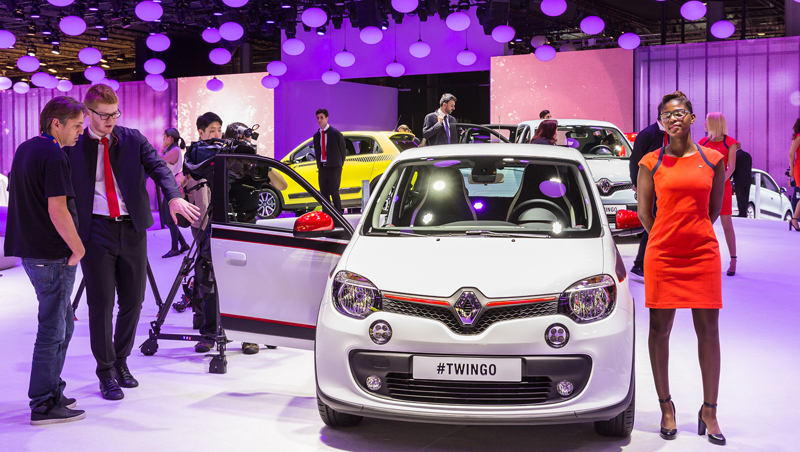 After starring at the Geneva Motor Show just a few months back, New Twingo is part of the line-up at Paris too, looking upbeat as ever in its tangy colours! 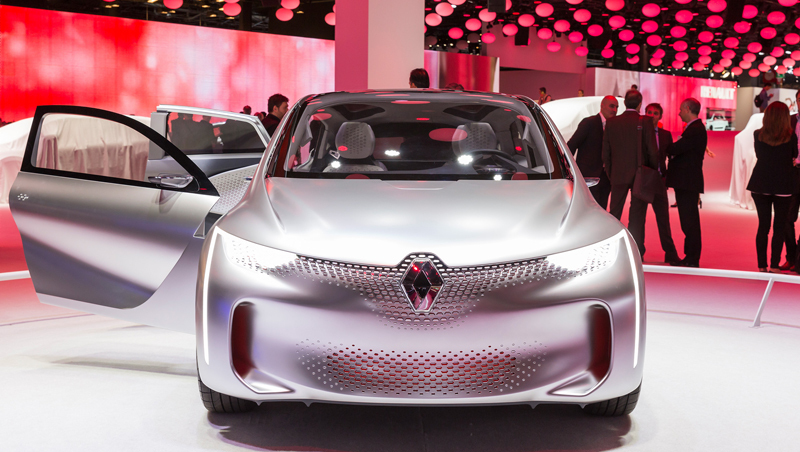 On the technology front, The Renault stand is proud to be hosting the Eolab concept. 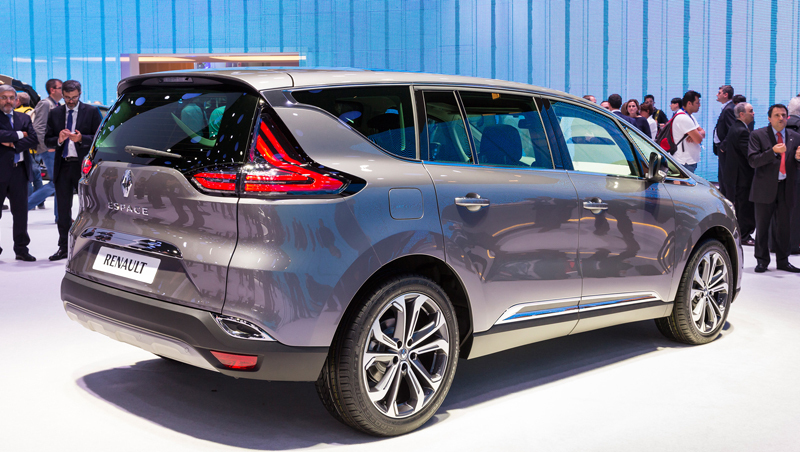 The prototype has been getting a lot of press since it was unveiled a couple of weeks ago, largely on account of its spectacularly low fuel consumption of just 1 litre per 100 km. 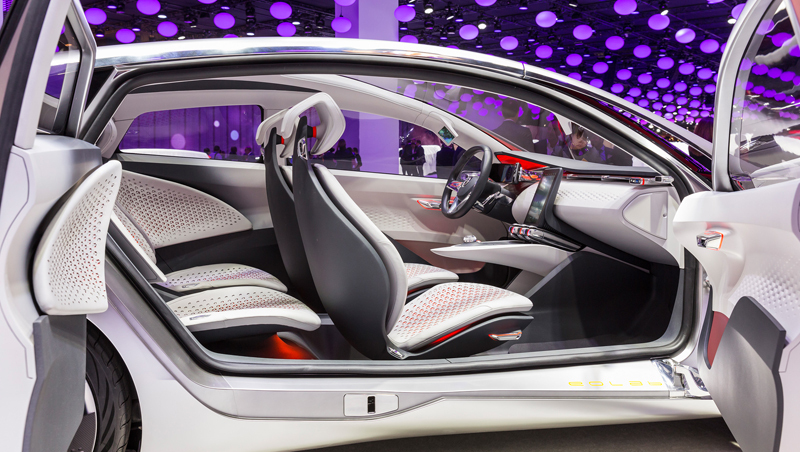 The concept-car derived from the prototype goes a step further style-wise to give full emphasis to the allied virtues of aerodynamics and lightweight design. 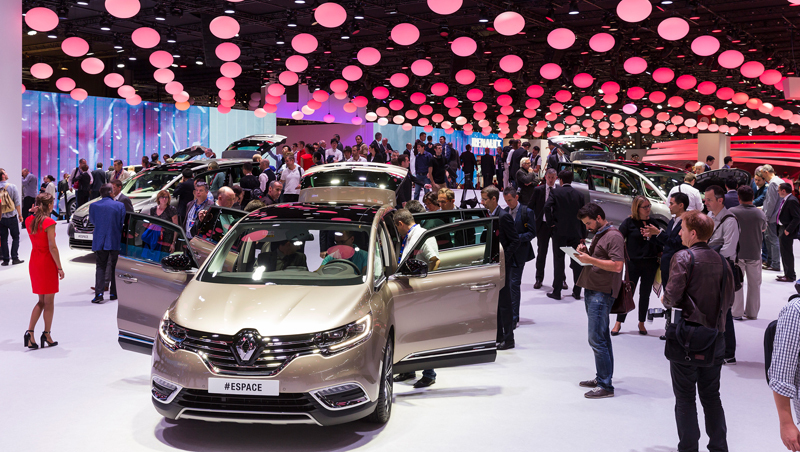 And judging from the interest the car's arousing at the Renault stand, the designers deserve full marks for appeal too. 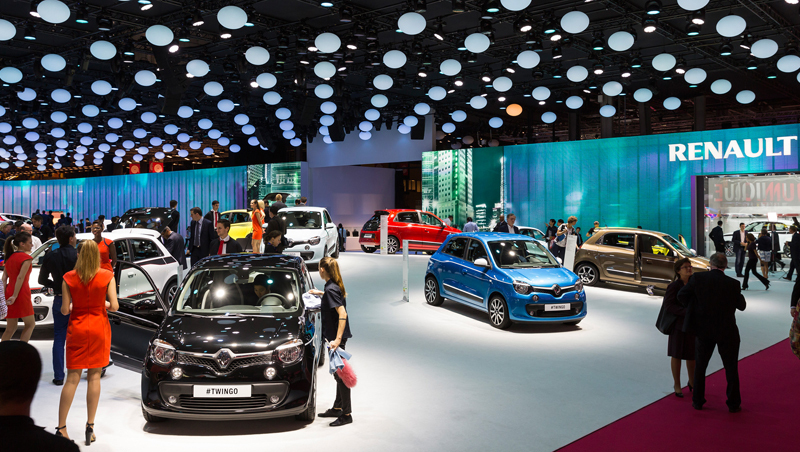 Just alongside, visitors are invited to experience insights into Renault technologies at the stand's demonstration area. 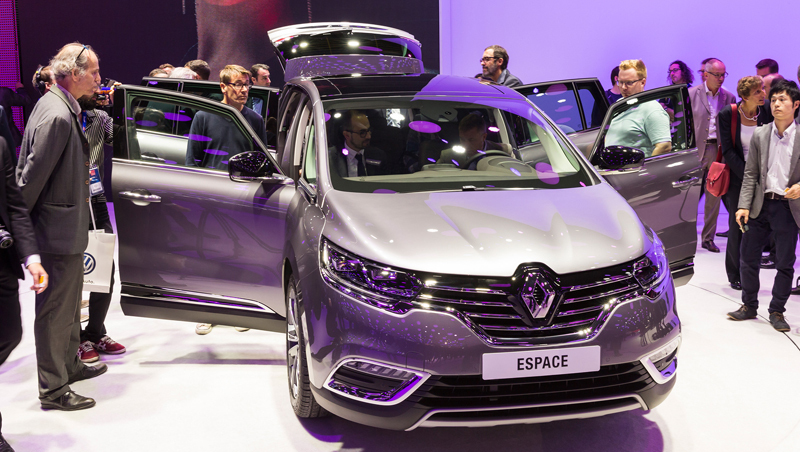 Along with the Eolab prototype engine, we find the new Espace engine and a highly innovative demonstrator for showing off the Espace interior.